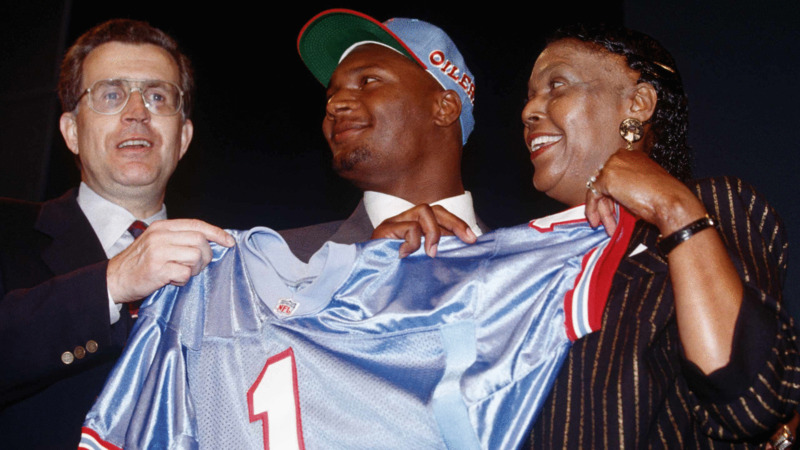 NASHVILLE, Tenn. – Nearly 10 years after his tragic death, quarterback Steve McNair remains in the minds of Titans fans, especially on this day -- what would have been his 46th birthday. (This story has been updated since originally running on July 4, 2018). What happened: McNair didn't practice all week because of a rib injury. And in warm-ups, on a blustery December day at the Meadowlands, he threw just a few passes but had to stop because of the pain. But McNair went out and threw for 334 yards and three touchdowns as the Titans put up a furious rally to beat the Giants in overtime, 32-29. McNair winced in pain as he crossed the goal line on a two-point conversion to tie the contest at 29-29 with just nine seconds left, and he had to switch the football from his right hand to his left hand so he could raise it into the air in celebration because the pain-killing shot on the right side had worn off. What happened: Trailing by a touchdown, the Titans got the ball with only 1:54 remaining on the clock. McNair did all he could, putting a drive together that earned him respect around the league, while giving a sign of things to come. McNair drove the Titans down the field. Then, with 22 seconds remaining and facing a 3rd-and-5 at the St. Louis 26-yard line, McNair scrambled and escaped the grasp of two Rams, including defensive end Kevin Carter, to complete a pass to receiver Kevin Dyson. The 16-yard completion to Dyson put the ball at the St. Louis 10 with five seconds left, and the Titans took their last time out. But his completion to Dyson was stopped at the one-yard line as time expired. What happened: No one gave McNair much of a chance to play in this one after he was knocked out of the previous game against Kansas City with a bruised sternum. And the reality is, he wasn’t supposed to play. McNair watched from the sideline in a baseball cap until Neil O'Donnell was knocked out with a concussion with just over two minutes left. But in typical McNair fashion, he stepped in. After a few warm-up tosses on the sideline, he entered the game and was 3-for-3 for 55 yards, including an 18-yard touchdown pass to tight end Erron Kinney, which gave the Titans a 23-20 lead, and the win.  What happened: In his co-MVP season in 2003, this was McNair's best game. He threw for a career-high 421 yards and three touchdowns in the contest, drawing a standing ovation from the home crowd as Titans coach Jeff Fisher sent back-up quarterback Billy Volek in to handle the game's final snap. McNair threw all three touchdowns to receiver Derrick Mason, and maxed out with a 158.3 quarterback rating in the first half, completing 12 straight passes during one stretch. He ended the day with a QB rating of 146.8. What happened: On a day when the Titans clinched a playoff berth, McNair broke the hearts of Texans fans in Houston when he guided the team to a 27-24 victory. The game-winning touchdown came on a 4th-and-10 from the Houston 23. That's when McNair dropped back and found receiver Drew Bennett open in the back of the end zone, capping a gutsy, last-minute drive. Bennett shushed the crowd at the end as McNair smiled while being swarmed by teammates.